The first show was aired at 4.30 am in the cities as special screenings and the premiere shows weren’t allowed by the police commissioner. But the movie has managed to do great business at the BO on day 1. Go through the entire article to get your details. Since the combination was fresh, the fans and also most the movie lovers had a lot of expectations from the film. But to their surprise, the story was quite simple. It was all about Allu Arjun’s charisma which drives the audience to the theaters. Not many liked the script; they were disappointed. But to the likes of all, Sarainodu movie had comedy, dance and a bit of emotion. It is worth once a watch and Sarrainodu first day collections ended great. The stylish star has a huge fan base in both the states and also Karnataka too. He is a much-loved star in overseas too. So what do you think of Sarradinodu day one collections? Did it beat Sardaar Gabbar Singh BO record? Let’s take a look. Since Sarainodu stars first in the USA, the movie had an impressive start and managed to do a business of $ 190,679 [₹ 1.27 cr] just from the previews. Yes, only from the previews. Isn’t that amazing? When it comes to Sarrainodu domestic BO collections, we present you first the worldwide pre-release business of the film in the form of an image. The movie’s budget is around 40 crores and if the film makes it to 50+ crores it can be termed as a hit. Let’s see how the collections for the movie. Sarainodu opened on 1600 screens, and the occupancy was low due to Hanuman Jayanthi Celebrations in the metropolitan cities. The makers did expect a big number on day 1, but they are sad. Sarrainodu managed to do a business of 10-15 crores, and the accurate report is yet to come. Just get back to us in a few mins for the appropriate result. From the US premiere shows, it collected $190,679. It surpassed the collections of Race Gurram, however, failed to beat the records of S/O Satyamurthy. 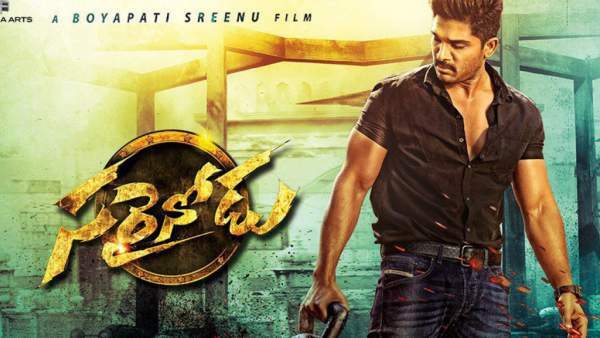 Hope you have checked out Allu Arjun’s Sarrainodu opening day collections. Do come back for updated box office reports.